This blog has been set-up and is run by Fleet Pond Society with the aim of increasing awareness and appreciation of the wide range of activities that are carried out in Fleet Pond Nature Reserve. Phone 01252 616183 or email Colin Gray. If you have any queries on the blog itself (including submitting articles and the such like), please email the Blog Editor: David Pottinger. Fleet Pond Nature Reserve is one of Hampshire’s hidden gems. 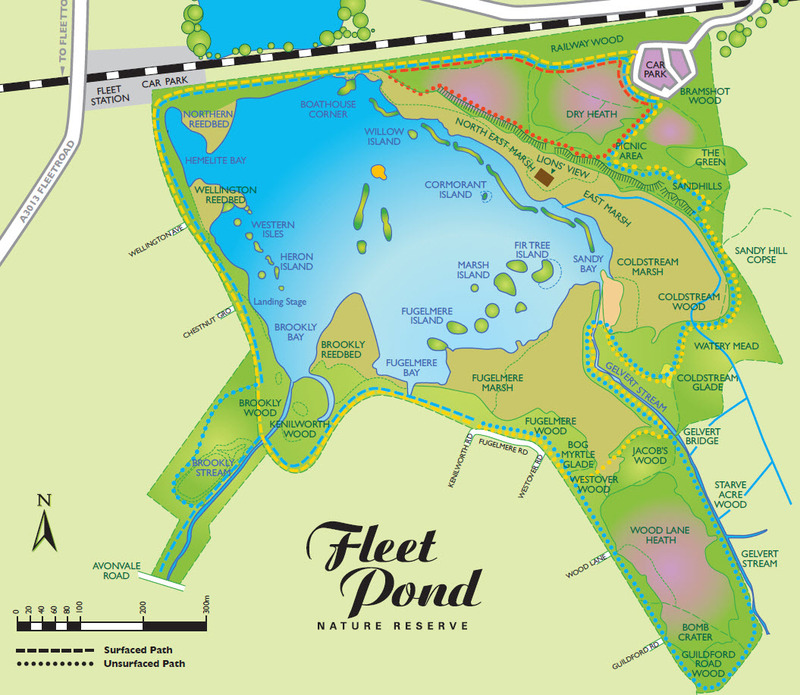 At 21 hectares (52 acres), Fleet Pond is Hampshire’s largest natural freshwater lake. The total area of the Reserve is 57 hectares (141 acres) of which 48 hectares (118 acres) is designated as a Site of Special Scientific Interest (SSSI). This applies to the wetlands, the lake and the dry heathland. Over 2,000 species of plants and animals live in or visit the Reserve. Most of the common mammals, amphibians and reptiles are present. Almost 250 species of birds, 12 kinds of fish, more than 400 types of flowering plant and 250 species of fungi have been recorded.